When we last left our gripping ongoing tale, Saxton Hale had lost Mann Co. to the scheming Gray Mann and disappeared to parts unknown. 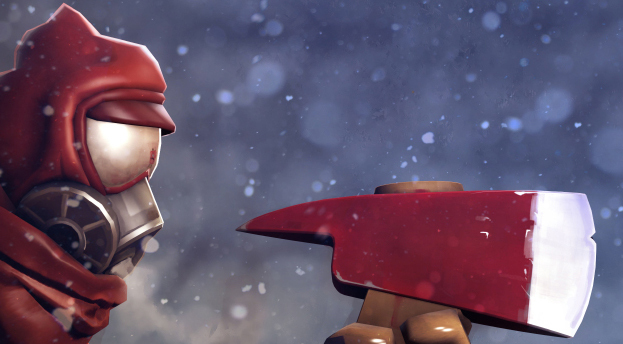 The TF2 mercs, now out of jobs, had scattered to the winds—until six months later, when Miss Pauling started reassembling the team under orders from an in-hiding Administrator. 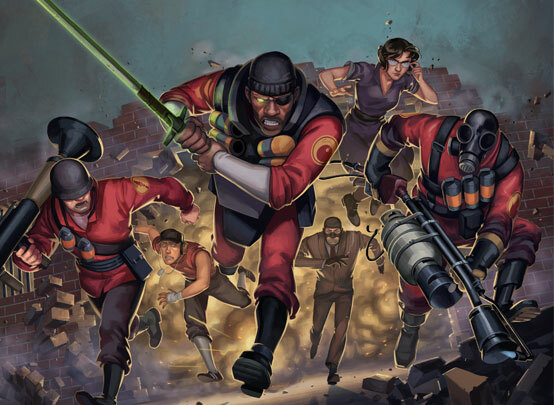 With Demo, Soldier and Pyro on board, our team heads to Teufort to rescue Spy and Scout from the hangman's noose. Find out what happens next in Part Two, titled "Unhappy Returns".